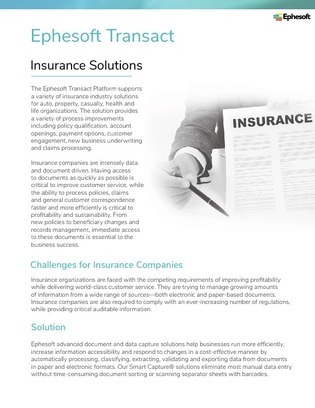 Insurance companies are intensely data and document driven. Agents need to be able to respond to customers quickly, access documents efficiently and process new claims. Intelligent document capture can eliminate most manual data entry without time-consuming document sorting.